An internationally renowned archaeologist, Dr. Vasant Shinde is a senior Professor and Joint Director of Deccan College, Post-Graduate and Research Institute (Deemed University), Pune, and was a Visiting Professor at the International Research Center for Japanese Studies, Kyoto. Prof. Shinde has been actively engaged in archaeological research in various parts of India and abroad for the last thirty two years. 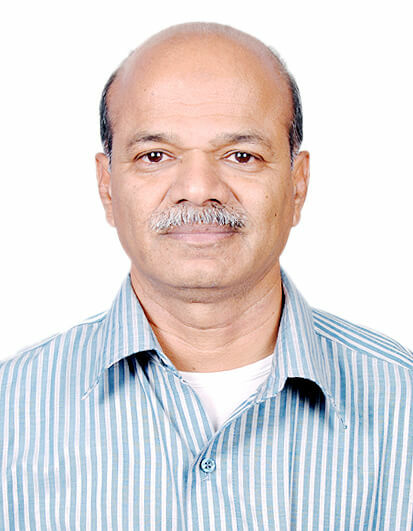 He has directed many international research projects in India. Presently he is developing research and Heritage Management programme for the largest Harappan site of Rakhigarhi in the northern part of the country, in colllanoration with GHF and the Archaeological Survey of India. He has travelled extensively all over the globe in connection with his research and lectures. Prof. Shinde has produced 23 Ph.D.s in varius branches of archaeology and presently one dozen research scholars are working with him on various projects. He has published over 7 books, edited 6 volumes and 125 research articles in reputed national and international journals.